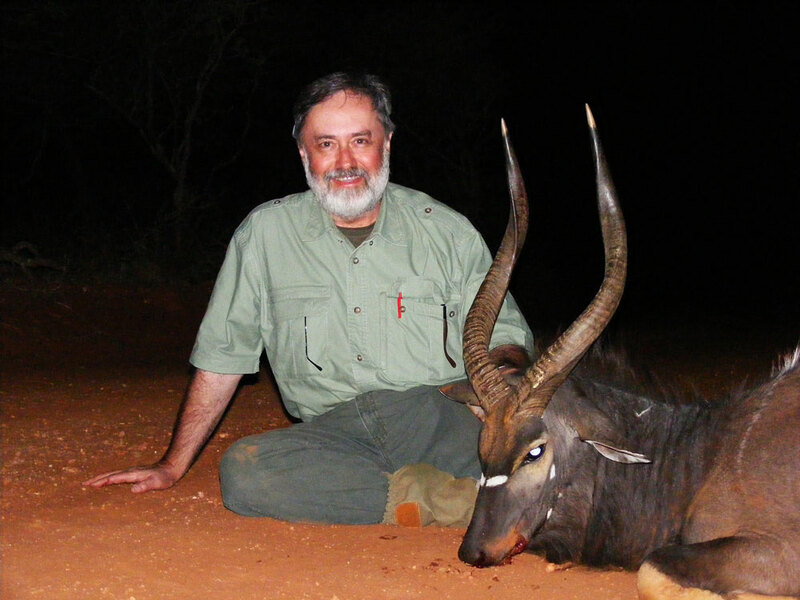 Hunting nyala South Africa with Mkulu African Hunting Safaris. 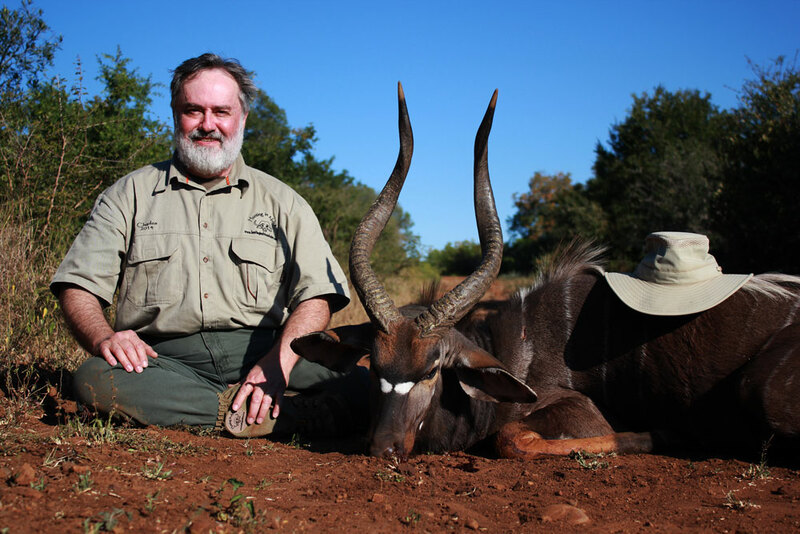 Hunting nyala South Africa is hunting for one of the most beautiful South African antelope species. 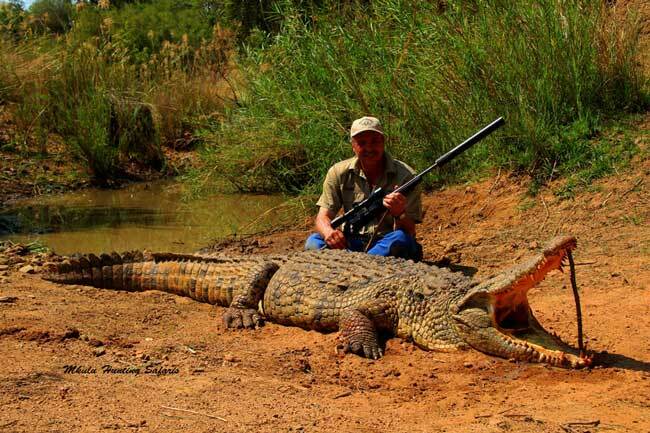 The hunter should seriously consider a full body mount (life size mount) when hunting these animals. 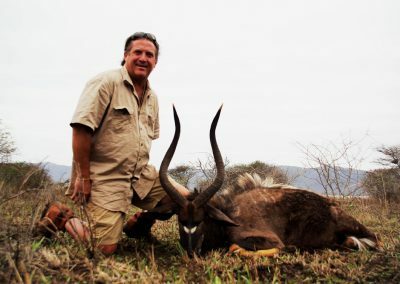 Hunting nyala in South Africa with Mkulu African Hunting Safaris is a plains game hunting experience to look forward to. Nyala are native to many other parts of South Africa. 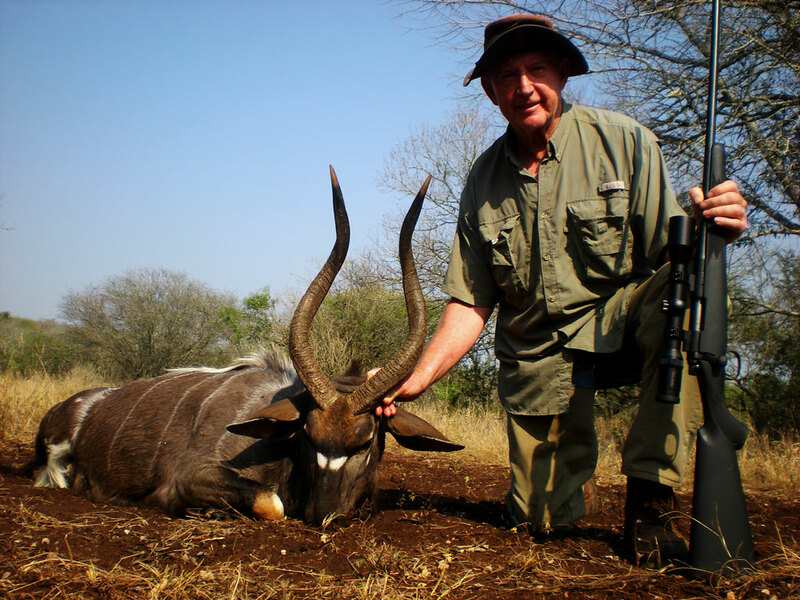 However, our primary nyala hunting region is the far northern parts of KwaZulu Natal (KZN), also known as Zululand due to its historical relationship with the originator of the Zulu Nation, King Shaka Zulu, close to the historical town of Pongola, Mkuze and Hlhluwe. 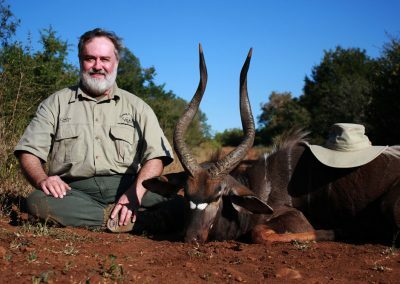 Having said that; due to the original habitation of nyala in certain parts of the Limpopo Province, many fine nyala trophies are harvested in Limpopo Province. 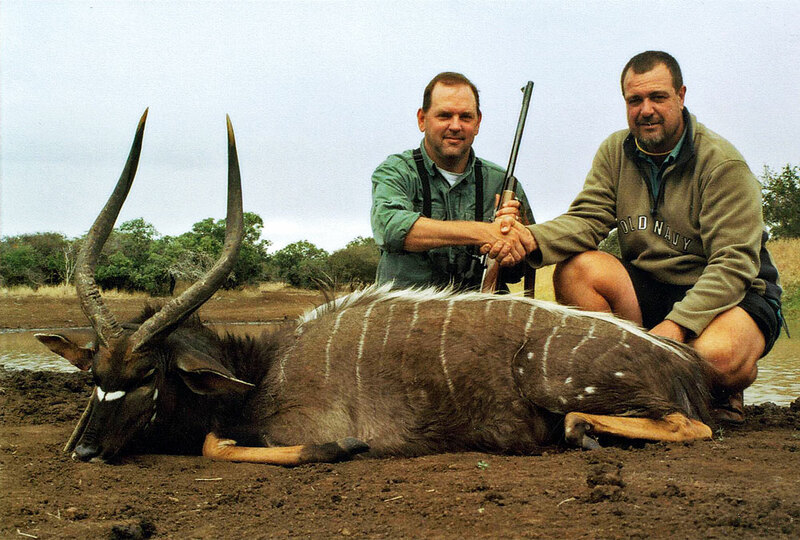 Nyala, together with bushbuck, eland and kudu are the spiral horn grand slam of southern Africa. The most interesting fact about nyala is this is where the division between rams / ewes and bulls / cows start. Nyala males are bulls but nyala females are ewes. 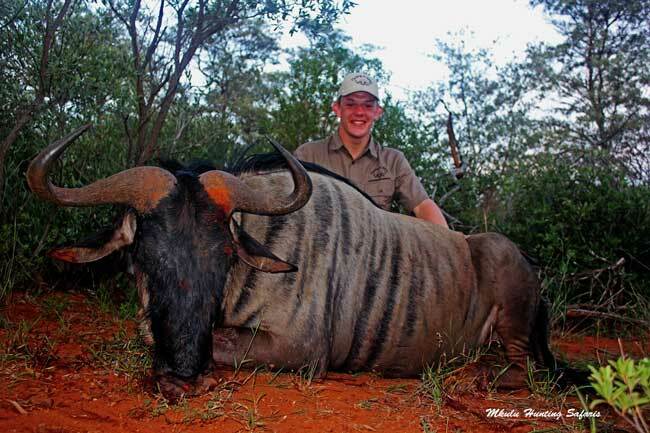 Any antelope smaller than nyala are rams and ewes, and any antelope larger than nyala are bulls and cows. 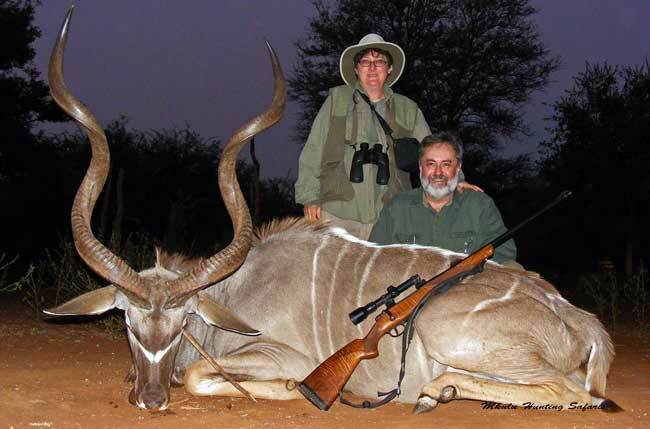 Interestingly, it remains a nyala bull and a nyala ewe. 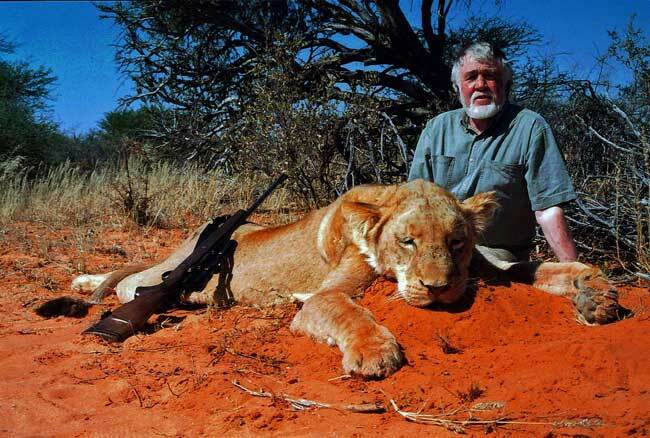 The only reasonable explanation for this division is attributed to the shoulder height of a particular antelope. Typical of the Tragelaphus family of antelope species, the shaggy dark brown coat of nyala have vertical white stripes down the flanks. Nyala also sport the typical chevron between the eyes. A prominent mane occurs from under the chin, down the throat and extends between the front legs to the back of the rear legs. 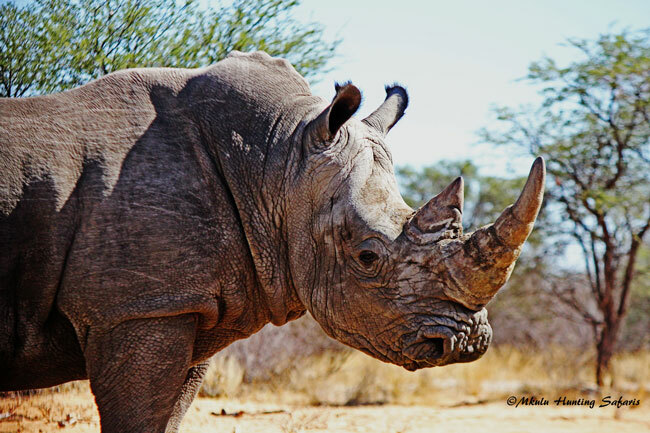 A prominent white hairline extends from between the shoulders, along the back to the end of the rump. These white hairs (almost like an inverted mane) extend upright when the bulls exhibit their territorial rituals of walking stiff-legged against their male opponent during the rut. Fighting, or sparring, seldom occurs for fear of injury. Rather, the first bull that admits defeat is the loser and lives to fight another day. 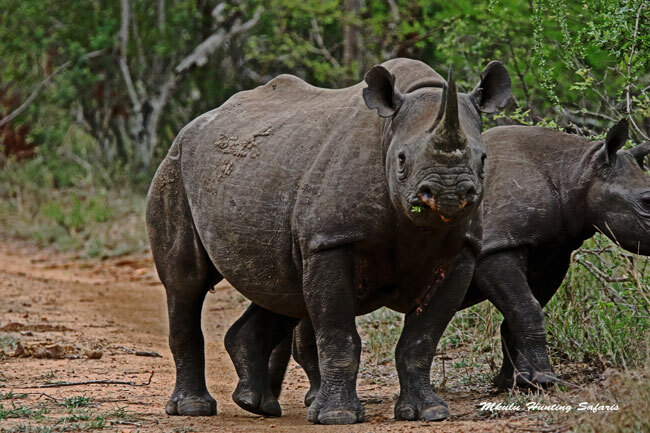 Below is a picture of two bulls having it off at each other. 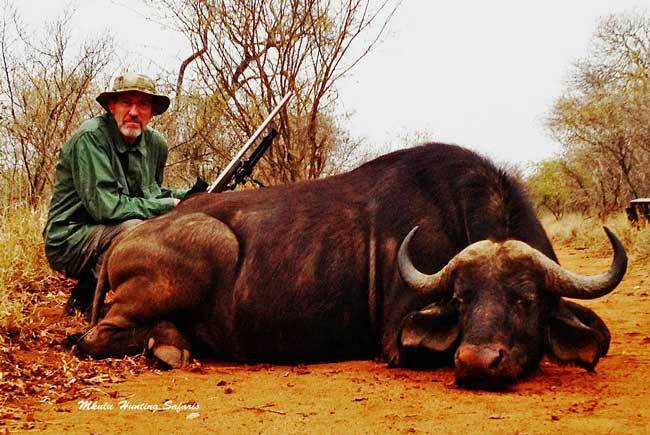 Bulls draw the scale at an average of 250 lb. and measure up to three feet at shoulder height, while ewes weigh in at an average weight of 130 lb. (59 kg). 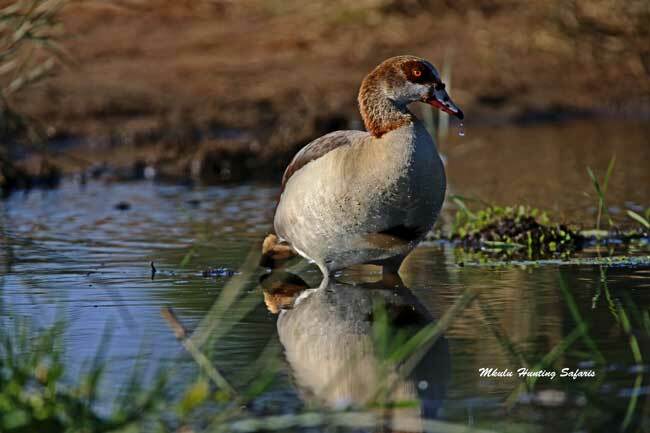 Ewes have a deep reddish-brown color with white stripes down the flanks. Nyala are grazer-browsers feeding on leaves, fruits and grass making their survival much easier compared to strict browsers or strict grazers. A single calf / lamb is born mainly during summer, from November to January after a gestation period of slightly more than 7 months, or 220 days. Females can conceive for the first time between the ages of 14 and 18 months. Mating rights by nyala bulls are determined by dominance behavior, rather than by a show of force and physical contact. Nyala prefer dense vegetation with permanent water sources at hand. Nyala are not territorial inclined and display overlapping home ranges. 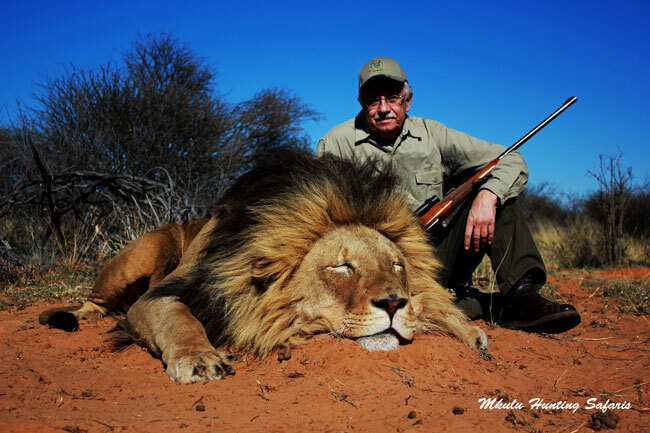 35 Whelan and any comparable calibers. 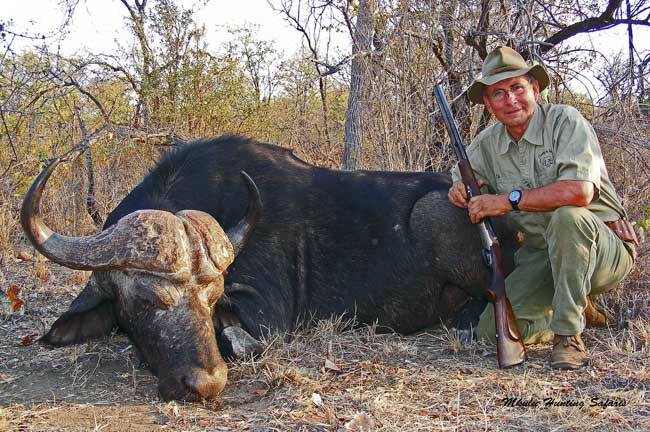 A good 2 – 12 X 50 gun scope should be sufficient for hunting nyala in South Africa due to a wide zoom range and a long eye relief which will allow for greater flexibility to view the cross-hairs quicker. The average expected shooting distance when hunting Nyala in South Africa is 80 to 150 yards depending on the terrain you are hunting in. 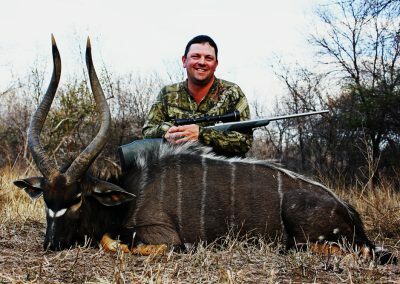 Nyala hunting prices South Africa for the 2017, 2018 and 2019 hunting season is $ 2 450. 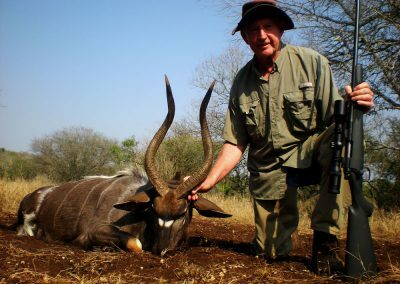 Due to the favorable currency exchange rates it is our pleasure to confirm that our nyala hunting prices will remain the same for the 2019 nyala hunting season. 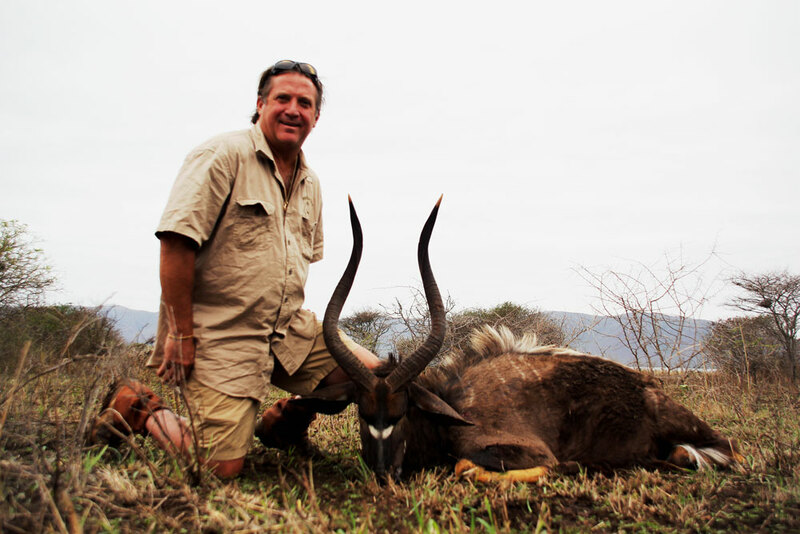 Mkulu African Hunting Safaris recommends you only use premium grade ammunition for hunting nyala South Africa. Our preferred ammunition manufacturer is Barnes TTSX in just about any weight. Other premium grade ammunition manufactures you can use would be Federal Premium, Sierra and others. The shot should be placed on the shoulder, or slightly behind the shoulder, in line with the front leg one third of the way up from the bottom of the brisket to the top of the hump on the back. The shot should be placed at the spot bisecting the angle formed by the front legs, aiming at the inside shoulder at the same height as for a broadside shot. The shot should be placed at the spot bisecting the angle formed by the front legs, aiming at the opposite front leg at the same height as for a broadside shot. 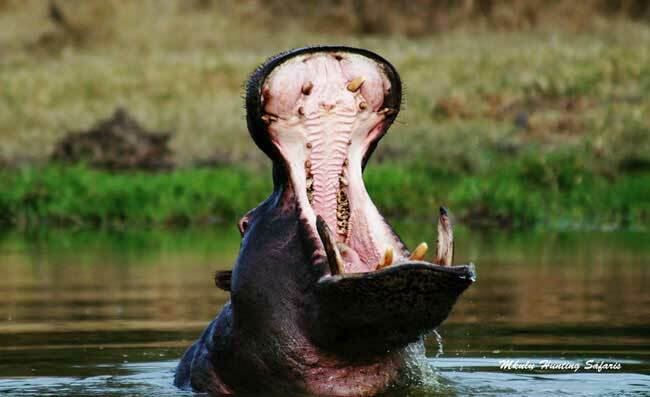 The shot should be placed where the bottom of the throat meets the chest. Larger nyala herds can be more difficult to stalk due to every member of the nyala herd being alert most of the time. 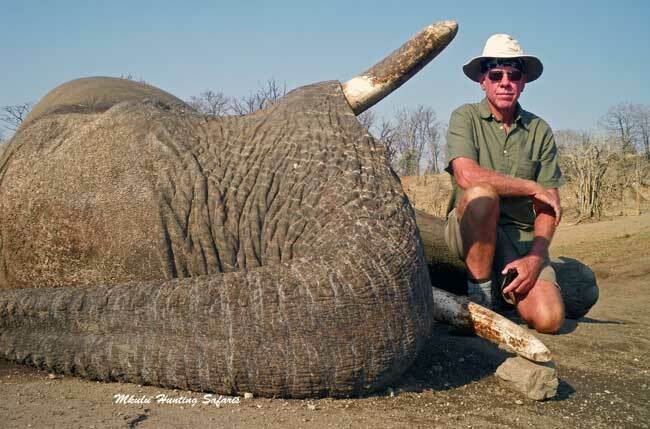 Solitary males can become extremely wily and are very hard to hunt indeed. Extreme caution should be applied when on the final approach. 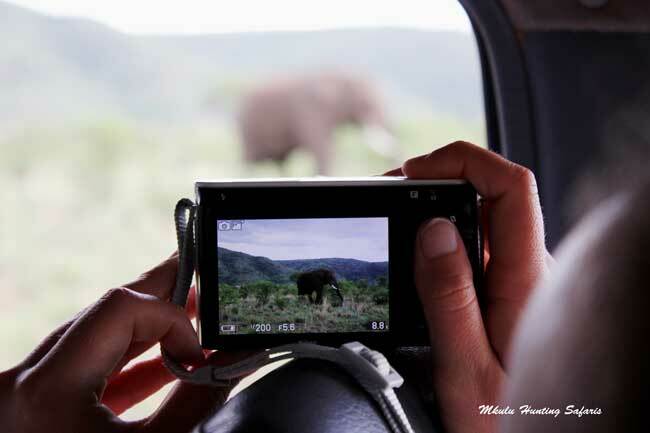 Any sudden movements will attract the attention of a weary nyala and result in a no-hunt situation. 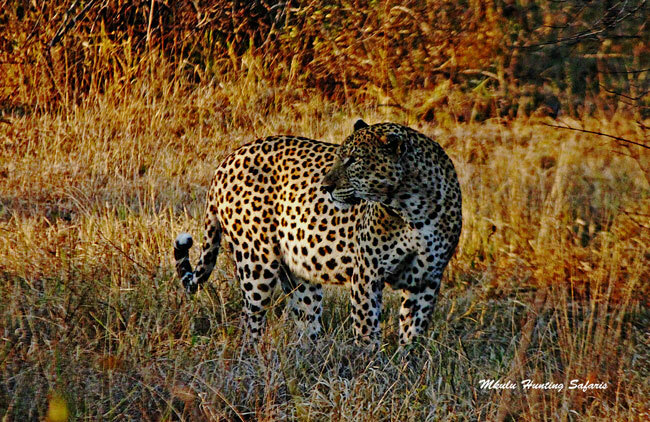 Nyala like dense bush and forest areas making it difficult to move silently. Nyala are part of the spiral horn family of antelope (Tragelaphus), making it almost as difficult to hunt as its cousins kudu and bushbuck. 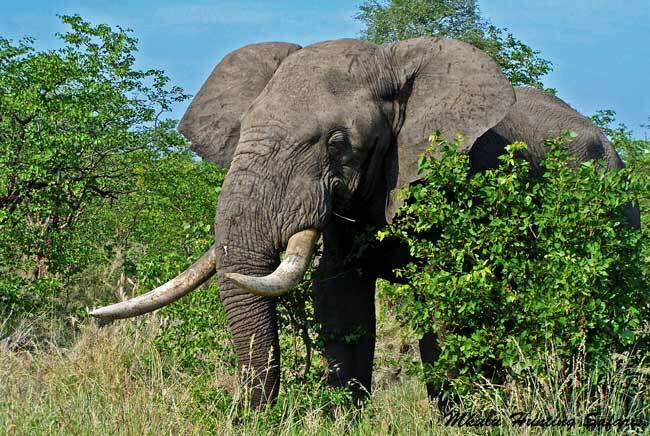 Great care must be taken not to make noise when moving in the bush. An ambush position usually leads to success. 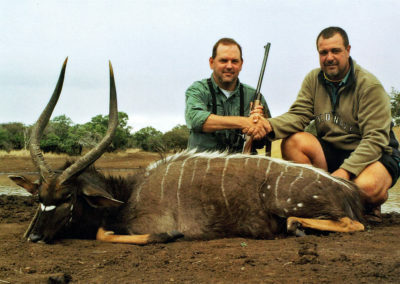 Traditionally the bush in the best nyala hunting areas is rather dense during our summer months from November to April. 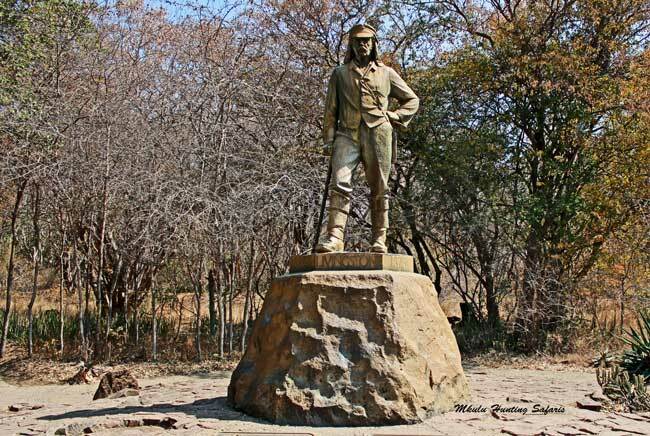 From June to August the bush starts to recede rather quickly and during September and October the daily temperatures start rising while the bush recedes to a minimum. 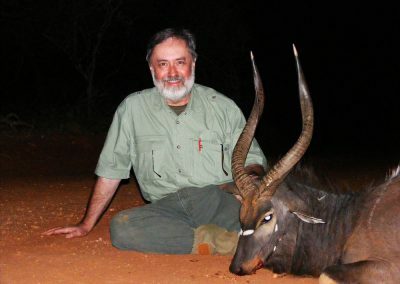 The best time of year for hunting nyala South Africa is the second week of April until the end of October and even to mid-November when the bush has receded most. 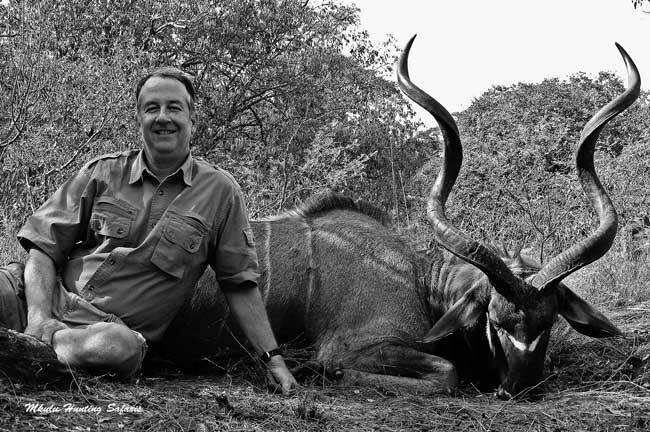 We can and do hunt nyala from January to December.